Lab Series LS Root Power Hair Tonic is an instant scalp-energising tonic that works to strengthen, thicken and repair the hair's appearance. Lab Series LS Root Power Hair Tonic nourishes and strengthens from roots to ends to improve hair's appearance, whilst also soothing and decreasing scalp irritation. 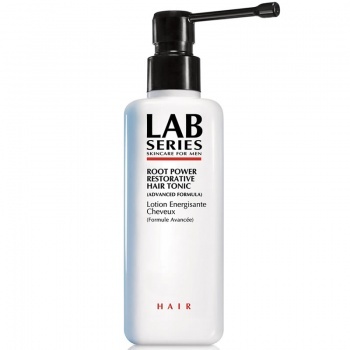 Lab Series LS Root Power Hair Tonic helps alleviate dry scalp and rids the scalp of debris and enhances hair's luster and shine while re-energizing and moisturizing scalp.